Heat oil in a pan and crackle black pepper corn, clove, black mustard seed and curry leaves. As the curry leaves start to crackle, add diced onions and cook on medium heat until dark brown in colour and soft. Add chopped ginger, garlic and green chilli and cook until the raw aroma of garlic disappear. 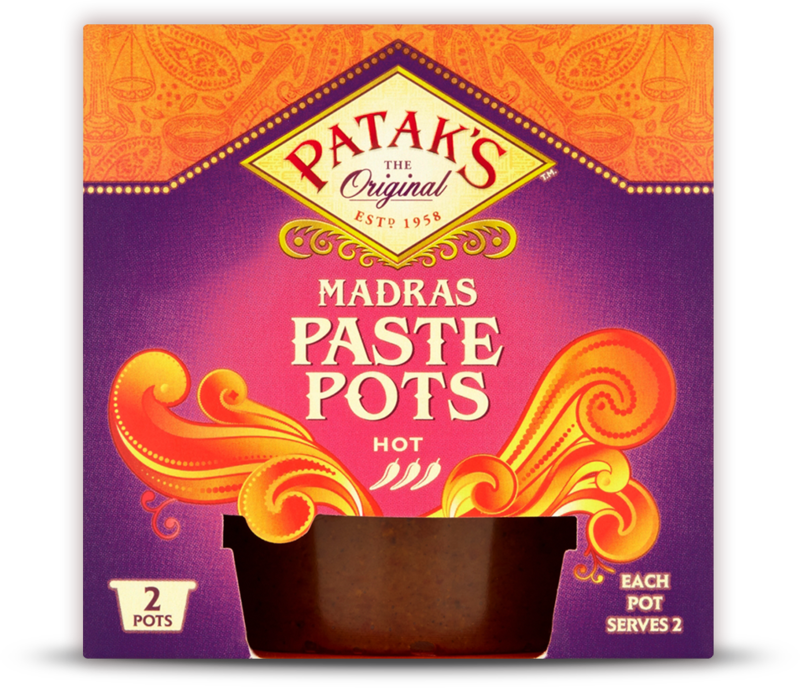 Add Patak’s Madras Paste Pot and 70 ml water and cook on medium heat until all the water evaporates. Add diced beef sirloin steak and sear the meat on high heat until the entire spices coat the meat. Add the rest of the water, bring to the boil and then simmer for 30-35 minutes until the beef is almost cooked. Add blended chopped tomatoes, tamarind paste and sugar and cook on simmer until the beef is fully cooked and can be cut with a spoon. Season to taste and serve with pilau rice or naan. For garnish, in a table spoon of oil fry back mustard seeds, drain and keep aside. In the same oil, fry fresh green curry leaves until they are dark green in colour and crispy. Garnish with fried mustard and curry leaves. With a colourful range of seasonal flavours from sweet apple to earthy butternut squash, this spicy and hearty dish is perfect for a cold evening's family dinner. Serve with steamed basmati rice, chopped coriander and lots of bragging rights!